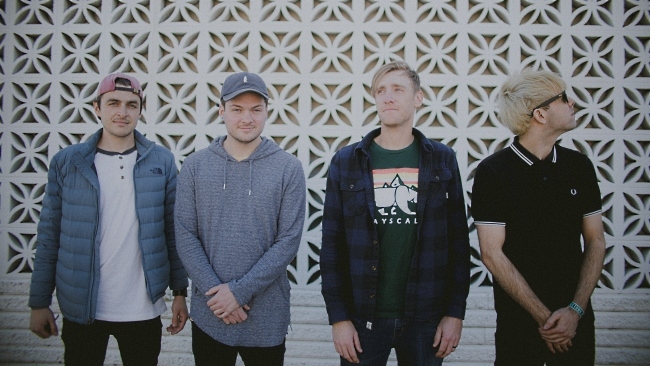 Summer Wars will be making the trek from their hometown of Raleigh to perform at Charlotte's Vans Warped Tour on July 30th. We caught up with singer Tripp Rowe and he told us all about life out on the road. I always like to say it's emo-tinged pop-punk. We try to add a bit of an atmospheric vibe to our songs that I haven't heard a ton of other bands in this genre doing. The first real concert I ever attended was actually Blink-182. I was in eighth grade and Taking Back Sunday opened. Believe it or not, Fall Out Boy was playing on a side stage outside the venue while people were walking inside. We played at a deli in the middle of nowhere that was converted into a venue. There was no sound guy and most of their equipment didn't work. In between songs, they were calling out people's food orders. It was the strangest thing. I wouldn't call it "crazy" but we had this awesome fan of our band drive all the way from Canada to one of our shows in our home state of North Carolina. She has been one of our biggest supporters and that kind of dedication is unreal and so appreciated. Almost always a Starbucks or Taco Bell. Well I wake up super early which annoys the rest of the band, haha. Then normally I try to get some sort of mini-workout in if I can. Then I just drink a bunch of coffee, check all the band socials and emails. Once we get to the venue, I will try to explore the immediate area if we have the time. Nothing super out of the ordinary, mainly just warm up my voice for about 20-30 minutes. Try your absolute hardest to work as much as you can before you leave and save up money. Touring can be hard, and the pros definitely outweigh the cons most of the time, but touring broke is about as miserable as it gets. Blink-182, Relient K, Jimmy Eat World, Motion City Soundtrack, and The Starting Line. Song: "Always," Blink-182.